Recession: less disposable income. Fewer people are frequenting restaurants, bars, sporting events, malls. People are finding other ways to entertain themselves and that means rediscovering reading. The Library Research Service completed a study that determined library lending and patronage is up anywhere from 5% to 28% percent in many Colorado communities. To read the full article, please visit http://bit.ly/ornVOf. Here in Steamboat Springs, Colorado a brand new library facility has proven that if you provide a beautiful and welcoming community space, people will come! www.steamboatlibrary.org. It appears this trend will be reflected in other States, too. Yesterday, I picked up the Battenkill Business Journal www.businessvermont.com and read that the town neighboring my previous place of residence is going through the permitting process to build a new $4 library facility. That is fulfilling news to me because the town fathers have toyed around for years with what to do with an aging facility. The town of Manchester,Vermont is a gem, as is Steamboat Springs, Colorado. I personally believe that a new library facility in that town will become a valuable asset and center of community life, too. Readers are finding their way into libraries through portals other than walking through the building doors. 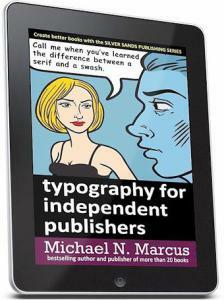 On-line entry is becoming popular, too, as independently published e-books are starting to appear in library catalogs. Thanks to the pioneering efforts of the Colorado Independent Publishers Association www.cipabooks.com a whole new generation of books are available through digital reading platforms. Checking a book out of the library means not even having to drive anymore. To learn more about the basics of the independent publishing industry and how people are e-publishing books to entertain, inspire, educate and inform, a short webinar is now available. http://bit.ly/pukeKE. From my perspective, although digital publishing (e-book publishing) is quickly becoming a strong presence on the book-buying scene, good bookstores and libraries will never disappear. They are commodities that strong communities will and should continue to support. High rates of reading literacy is important for a prosperous world and any way you can reach large populations of people, young and old, through the written word it is to the benefit of those who will inherit this earth. Can you remember when the most fulfilling way to start the day was sitting around the kitchen table with coffee cup and newspaper in hand? Used to be the only way to get your daily journal of news in-print was by subscribing and having it delivered to your mailbox or door in the wee hours of the morning, before the sun came up. With the arrival of the internet, things have changed! The newspaper industry has been thrown into a quandary over how to keep their subscriber base with the availability of free content over the internet, through digital devices and applications that are being developed so quickly that it makes ones head spin. Newspaper publishing has been going through adjustment and re-tooling to keep up with this digital age of communication. Can traditional, in print, newspapers survive? Several months ago, the New York Times http://bit.ly/p9l62 changed their policies on providing free content on-line. There is now a “pay-wall” for those who frequent their site for news content more than 20 times per month. Unlimited access to the New York Times has gone by the way-side. Will “pay walls” be a growing trend among newspapers? Monthly access to the Times site is available through smartphone applications for $15. To add accessibility through computers too, on an unlimited basis, the $35 per month subscriber fee is available through their “All Digital Access” plan. To encourage traditional subscribers to continue to receive newspapers in-print, there is a perk of unlimited mobile access as well as web-based access. This applies for those that subscribe to Sunday news only, too. For more information on digital subscriptions to the New York Times, please visit http://wapo.st/gINfhH. There is a very interesting article on 5 myths of newspaper journalism and advertising. To read the article, please visit http://wapo.st/ebWTsg. If you want to know even more, The Pew Research Center for Excellence in Journalism is studying the impact this digital age has on traditional newspaper publishing. Visit their on-line website, too. http://bit.ly/ftb6Hb. 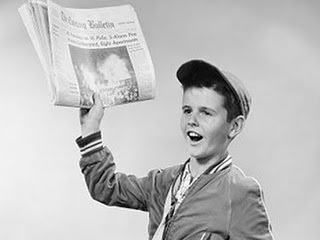 No matter how you like to receive your news, in-print or through e-versions, keeping up with what is going on in the world will never go out of style! e-Conomies. What Does it All Mean? e-Commerce, e-Books, e-Publishing, e-Marketing. http://rww.to/aiuHxb. You’ve heard the terms a lot lately, haven’t you? But what does it all mean? It means entertaining new ways of doing things! Let’s face it – our economy needs a kick in the pants! We need independent spirited folks to take ideas and run with them. Brain power, our most available resource, surrounds us everywhere. It is not located in any one place. We need people who are tired of sitting around waiting for something to happen, to make things happen! Right here in Steamboat Springs,CO there is a group of people who want to have their say, they want to be heard, and they want to be seen. Right now! They are not willing to play the game of waiting on someone else to create their future for them, or not! She Writes Steamboat is a newly-formed meet-up group that will come together for the first time at 4 pm on June 21st at the Bud Werner Memorial Library. www.steamboatlibrary.org. 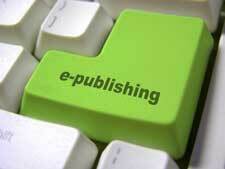 Independent publishing is one economy that is on the fast track and it is gaining momentum every day. Business people, non-profit organizations, parents, teachers, children and very ordinary folks with unique stories to tell are pumped. Internet and media technologies have changed so greatly over the past 10 years anyone can jump on the train and tell their story, inform, educate and inspire others through all independent film, music or books. Entertain that thought! Further, the internet has provided a way for independent publishers to become visible all over the world! Are you ready to share your voice? Join Us @ She Writes Steamboat – click here http://on.fb.me/lbnPms. Check it and Protect it! 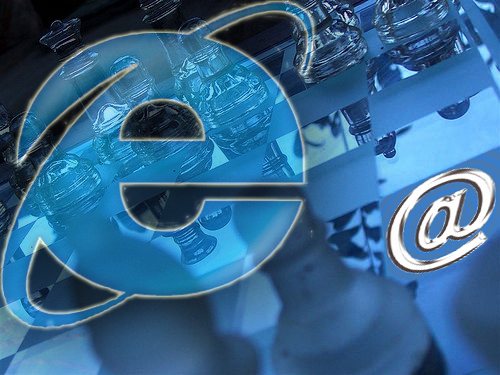 Now that e-publishing (internet-based publishing) has arrived on the scene, an all new dimension has been added to the already confusing and complicated issues around copyright infringement and plagiarism. 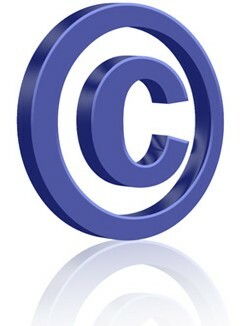 There is a company, Integrated Writer Services, LLC www.writerservices.biz that is fulfilling the need for guidance, education and consulting services regarding issues of copyright clearance. Resources for permission departments for art collections, publishing houses, government agencies and music administrators. If you pre-order the Copyright for Creatives e-Workbook, you will receive a 50% discount off the Integrated Writers Services, LLC Workshops that will be offered in May. For more information on this very valuable guide, keep your eye on details that will soon be available on www.permissionacquisition.com. The issues that the professionals at Integrated Writers Services, LLC deal with are, indeed, complicated and are time consuming to research. Even given the self-help tools that Integrated Writers Services so generously offer, in the way of an on-line guide and workshops, many prefer to hand this part of the publishing process over to the professionals. If you an independent publisher looking for individual consultation on copyright regulations, contact www.writerservices.biz today! This blog presented by www.CornerstoneFulfillmentService.com.